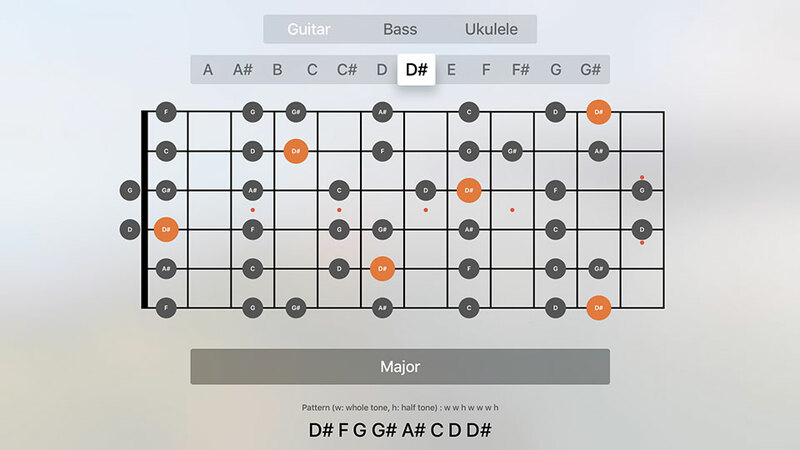 Scales Library for Guitar, Ukulele and Bass. 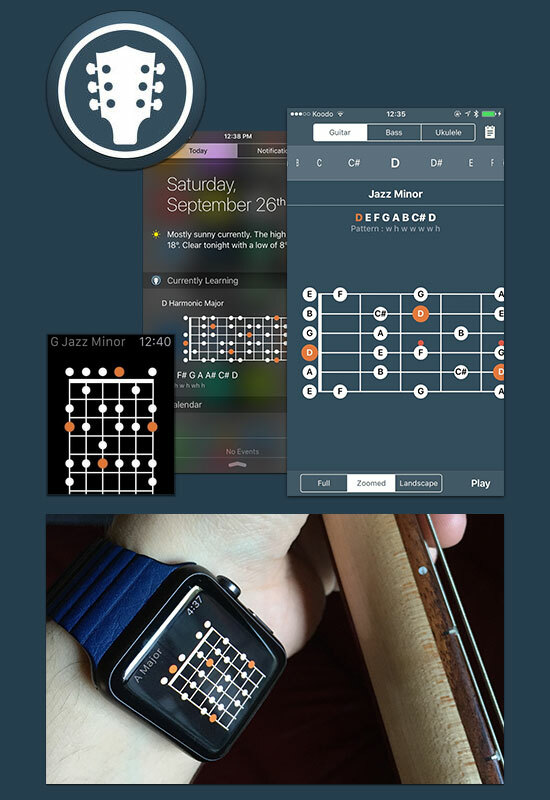 Scales library for guitar, ukulele and bass guitar. Now available on your wrist and at a glance on your phone! Explore 50+ scales and learn them anytime and anywhere. Now available for Apple TV! The last scale you viewed is always a few seconds away, on your Apple Watch or via the "Currently Learning" extension available in your notification center. The simplest companion out there for your music skills. - Available in French! Please tell us which language you would like next! - The Apple Watch and the extension for the Notification Center will show you the scale you are currently exploring. Put your watch inside out while playing guitar. You will look cool AND learn.